Henlys in 3D – Spot the Limited Edition Tarquins to WIN! Want to have a wander around Henlys from the comfort of your sofa? Have a look behind the bar and see what we see, or even check out the view from your favourite restaurant table. Check out our 3D tour below to explore Henlys in full. Click the spots to see our latest deals and keep an eye out for a hidden bottle of Special Edition Tarquins for a chance to get 25% off all Cornish Gins on Fridays between 6-7pm. Just bring in the code to grab your discount. Like what you see? 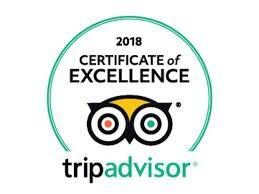 Want to book a table to enjoy Henlys for real? Call us now on 01326 561141. 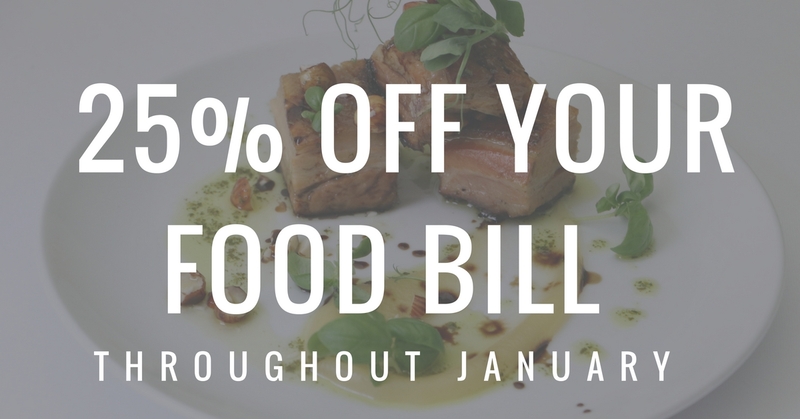 25% off Food During January! Boy have we got an offer to banish ALL January blues! If you’re dropping by over Christmas and the New Year, don’t forget to pick up one of our 25% off Food vouchers valid for the whole of January! It’s a surefire way to make sure January is just as awesome as December was and to start 2017 in style. Haven’t seen our menu? Get deciding what you’ll choose by checking out our delicious dishes right here. Fancy a tipple with that? Check out our cocktail menu for pre-dinner drinks. 25% off your food bill with our special voucher. WHERE CAN I BAG A VOUCHER? Come on down to Henlys and ask a member of our team for your voucher. Valid until the 31st of January. Book your table now on 01326 561141 and say goodbye to January blues! 50p for every pint to Helston Christmas Lights Fund! Christmas is in the air, and with the Helston Christmas Lights switch on just around the corner, we couldn’t be more excited! We’re also bringing Carlsberg back to the pumps and to celebrate, on the 25th of November (the big switch on) you can enjoy a cool glass of Carlsberg for just £2.50 AND we’ll donate 50p of that to the Helston Christmas Lights Fund, to help make sure that Helston sparkles just as well at Christmas time in years to come. The team behind the lights work extremely hard to make sure festive cheer runs throughout the town every single year and we’re always wowed by the results! 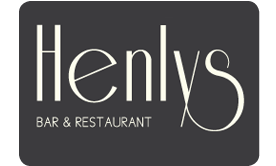 So we’d love to give something back on behalf of all our customers and the team here at Henlys. Come on down for the big switch on on 25th November 2016 and join us after to warm up! We’ll be serving up hot mulled wine and the usual beers, cocktails and wines. 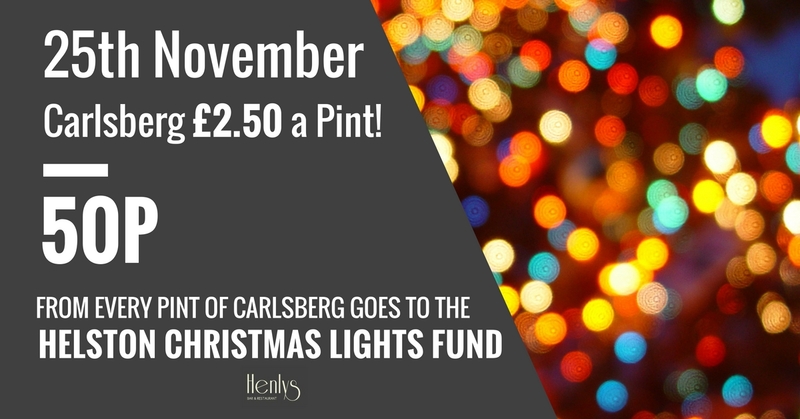 Don’t miss out on our special priced Carlsberg for one night only and help us say thanks to the christmas lights team. 50p of ALL Carlsberg sales will go to Helston Christmas Lights Fund.